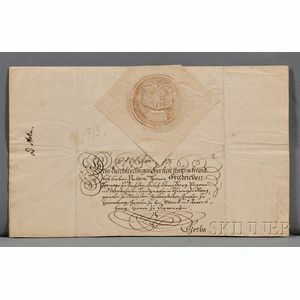 Augustus III of Poland (1696-1763) Signed Letter and Envelope. 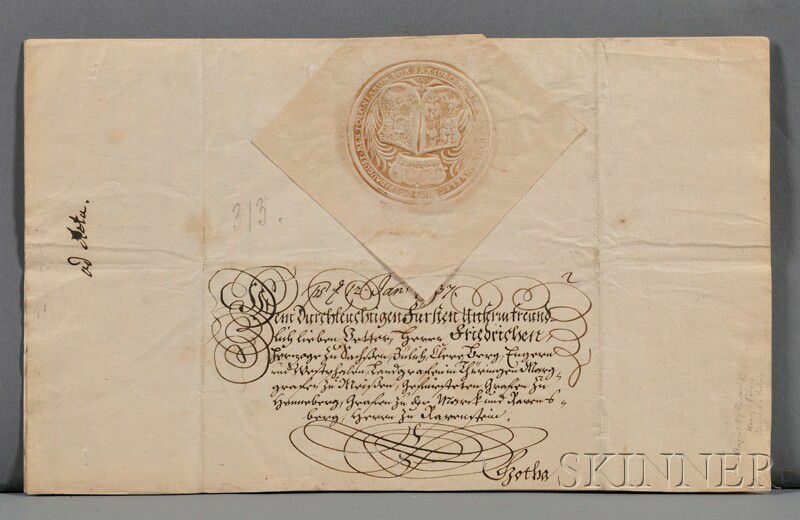 Augustus III of Poland (1696-1763) Signed Letter and Envelope. Both on paper, envelope with the royal seal and address, letter is one bifolium with text in German on all four pages, 19 December 1736, delivered January, 1737, 13 x 8 in. Johann Sebastian Bach dedicated his Mass in B Minor to Augustus III of Poland. Adams, John Quincy (1767-1848) Autograph Letter Signed, 20 April 1837.